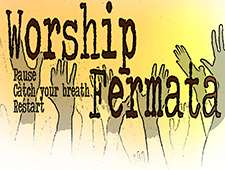 Be an Exhorter But Be Real: Isn’t it our responsibility to help raise up confident, strong and solidly grounded worship team members? Be an exhorter. Remember to encourage and exhort your team members. If they played or sang particularly well on a given Sunday, let them know. If they stepped out of their comfort zone and excelled, encourage that. If they’ve done something amazing outside of the scope of the worship team, acknowledge that as well. Encouraging words build confidence in the areas God has gifted your worship team members. It breaks the chains of fear that many musicians have as well. As you exhort and encourage I believe it’s also important to be real. Saying “great singing today” to someone that sang badly is not teaching them to hone the gifts God has given them. It’s enabling them to underachieve. Be On Time: As a leader (of anything) it’s important to realize that whomever it is your are leading will look at what you do more closely than they look at others around them. If you are late to rehearsals or your Sunday service you are telling your worship team that your time is more important than their time. There’s no Biblical commandment that says, “Thou shall not be late,” but there are many scriptures that teach us about putting others ahead of ourselves (my personal favorite is Philippians 2:3). Don’t Settle: As a leader you are also a teacher (like it or not). If you have a great musician that elevates the sound of the worship team but he only shows up when he feels like it, you are “settling” if you allow him to continue in that behavior. You are also not allowing him (or her) to grow if you are not “teaching” in these moments. Keep a private but open dialog with your team members that need a little extra TLC. And if you are an exhorter, I bet they will hear you. Get Out Of The House: Led is like a family. We watch football games together, eat meals together, text and talk to each other during the week, and do all the other things families do. If your team is not doing these things, at least from time to time, I would encourage you to take the lead on that. When your team spends time together and gets to know each other on a deeper level amazing things happen. And when amazing things happen everyone grows closer to each other and to the Lord. Raise Up Others: True leaders are not territorial. They don’t put up fences or lay down borders on what they “own.” In fact, true leaders know they don’t own anything. Look around you and you will see different talents and gifts. It’s your job (I don’t like that word but I couldn’t find a better one) to help your team members reach the potential God has placed inside each of them. And if that means you have budding worship leaders on your team then embrace that. It’s about Jesus, not about us. Don’t horde the spotlight, give it away and you will be richly blessed as you get to input into the life of someone called and gifted to do what you’ve been doing.